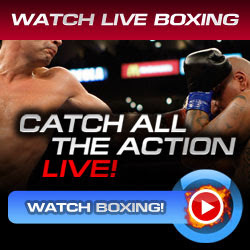 Paul Williams vs Erislandy Lara bout is full of action on Saturday Night live at the Boarwalk Hall in Atlantic City, New Jersey. Cuban contender Erislandy Lara will be fighting a taller guy and same southpaw style which is Paul Williams, the Punisher. Erislandy Lara, the top 10 undefeated contender stepped first to hit the scale and weighed-in at 153 pounds. Then followed by Paul Williams, the former World Boxing Organization Welterweight Champion of the World, he hit the scale and weighed-in at 153.5 pounds. The Boardwallk Hall is full of crowd and noise started when they faced-off each other. The height of Williams against Lara could be a great difference in this fight.